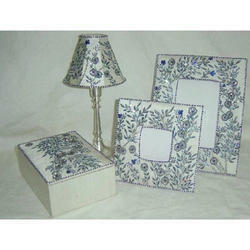 Item Size: Photo Size : 4"x6"
We supply Photo frames that is designed in accordance with the on going market trends. Our high resolution metal photos are available in various shapes, sizes and finishes to our esteemed clients. We are ranked amongst the trusted firms engaged in providing a wide range of Brass Photo Frames. As a quality focused firm, we are engaged in offering a high-quality range of Brass Coated Photo Frame. We are also engaged in the sphere of offering a wide range of Brass Work Photo Frame, which are attractive and durable. Our corporate photo frames are widely accepted in corporate world for their quality, beauty and design. - Size(Inches): Width 6.8" X Height 8"
This Rectangle Dimensional Photo Frame Is Made of Brass with a Elegant Finish of Antique Brass. It Can Be Placed on Table or Side Desk. 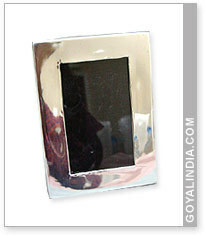 We are offering a wide range of Brass Photo Frame to our clients. This is made by our vendors using supreme quality of materials and latest technology. Available in various colors and designs, we offer this Brass Photo Frame at reasonable prices to our precious customers. - Application-use for home decor , office decor , table decor , table photo frame , wall Photo frame , gift item , corporate gift , wedding gift , etc.